Through the 2 year partnership, QNET is set to gain visibility and branding at the games of all three club competitions and will be organising on-ground activations to promote engagement with fans and QNET's sales force, the Independent Representatives (IRs). M. Ahmad, CAF president, commented 'One of our main targets is to build a stronger brand behind our club competitions by making them more and more popular. We also aim to increase the revenue generated by those competitions, namely the Total Champions League, The Total Confederation Cup and the Total Super Cup. This will enable us to distribute more incentives to our clubs and speed up the club licensing process, which is instrumental and pivotal for the professionalisation of the game on our continent. So partnering with renowned international companies, such as QNET, confirms that we are on the right track. 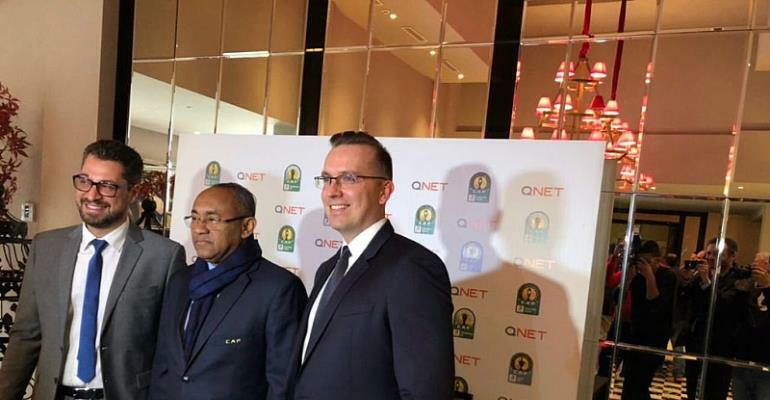 We perceive this partnership as a sign of trust between CAF and QNET, and also proof of the fact that African Football is a marketable product worldwide'. Among the benefits, QNET stands to gain a strong brand presence at the championship games, TV commercials during half-time breaks, and will be enabled to launch several fan engagement opportunities targeting Football fans through-out Africa and beyond. In addition, QNET will host match viewing parties for its distributors and Independent representatives (IRs) in different countries throughout Africa where they will be invited to watch the match on big screens and enjoy exclusive QNET- CAF Competition merchandise.